As well as being interested in the scientific discipline of astronomy, I am also intrigued by the history of astronomy and how ancient peoples interpreted the night sky and celestial bodies through mythology. 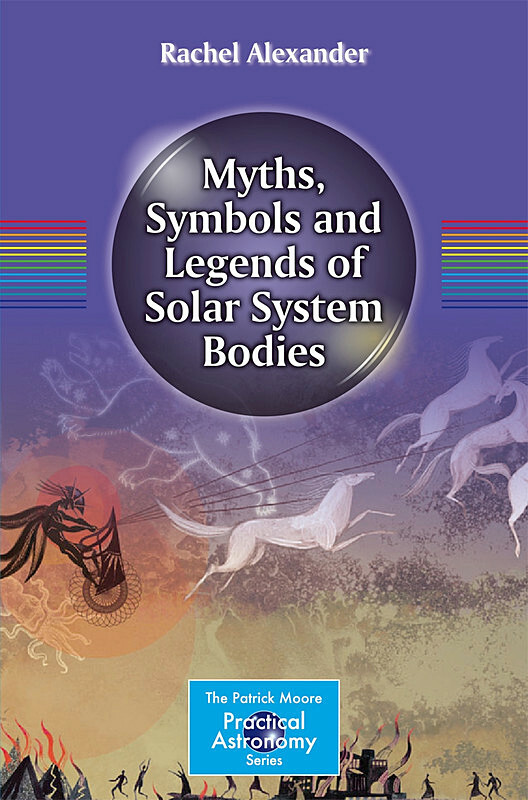 This book, though, is not one I’d recommend to make sense of the myriad stories that various cultures around the world have told about the Sun, Moon and planets. There is an overload of legends and anecdotes crammed into every chapter, covering mythologies as wide ranging as Greek, Egyptian, Celtic, Japanese, Polynesian, to name but a few. However, it comes across as a messily written barrage of information rather than a smooth, engaging narrative. Other than chapters for each Solar System body, there is no cohesion within the chapters themselves, no sense of chronological or geographical order to the myths mentioned – the information is all over the place. It reads like an encyclopedia that has been compiled in the most haphazard manner. It’s a rare example of reading something that overwhelms and disappoints in equal measure. There are also some serious errors. A couple that I found was one sentence saying that the Sun will ‘explode’ at the end of its life, and another says that Venus, when viewed with the naked eye, has a ‘reddish hue’. These errors make me question the credibility of the book as a whole. Sometimes the same sentences are repeated several times, and at times sentences contradict each other; one example is the aforementioned ‘exploding Sun’. In a later paragraph, it is mentioned that the Sun will expand into a red giant. It is a shame, as the subject of astronomy in mythology, legends, art and popular culture is a fascinating one. 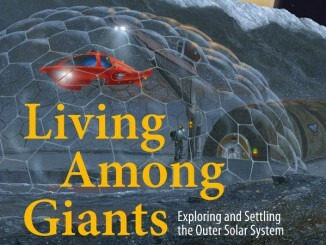 Space artist and author Michael Carroll takes you on a voyage of discovery through the outer Solar System, exploring not only the science of these worlds, but lets your imagination soar to picture what it would be like to stand on Ganymede or Titan. “Carroll’s artwork is stunning… this brilliant book will have you hooked from the beginning,” says reviewer Keith Cooper. 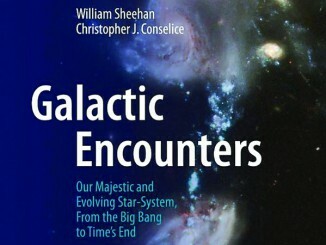 “With many great photographs — from Edwin Hubble to the Hubble Space Telescope — a robust approach to the science which is (usually) very well explained, and detailed footnotes, this is a history of galactic astronomy that should definitely find space on your bookshelf,” says reviewer Andy Sawers. 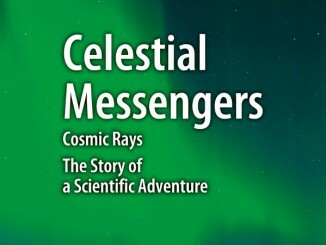 Mario Bertolotti’s book on cosmic rays can also be read as the scientific process in action, a story that goes hand-in-hand with research into particle physics.